Too hot to run outside so did run on the treadmill. Alternated a different song with paces of 12:00, 11:32, and 11:07. W/up and c/d @11:07. Recovery @13.02. I was nervous about this run. I mean I did run a 1 mile repeat last week but this time I had to run 2 more. It definitely went better than I expected. I alternated a different song with paces of 9:23, 9:14, 9:05. I had an appointment for TSA Precheck. I was there for about 5 minutes. I got there at 11am., checked in, used the bathroom, and was sitting down for about 1 minute before my name was called. 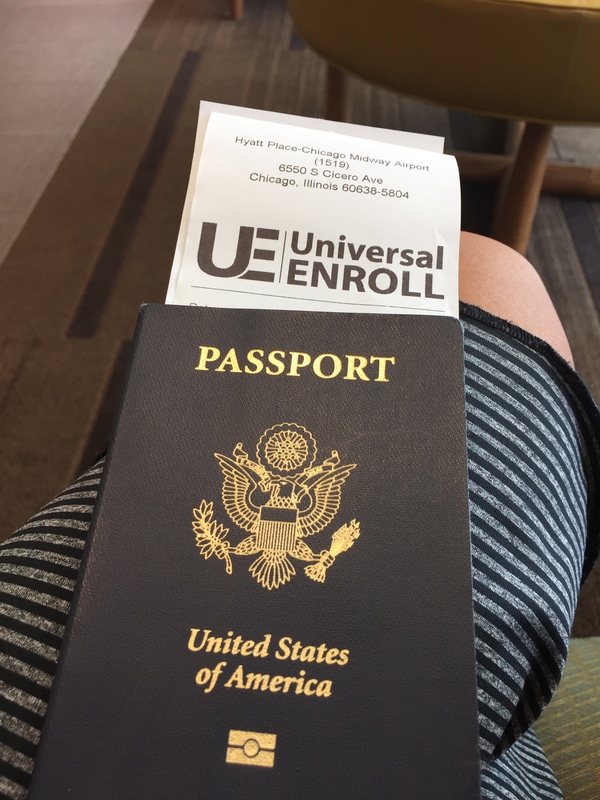 The agent then asked me to verify some information I had submitted in my application, scanned my passport, and processed my credit card to pay for it ($85). I really had NO desire to do this run. I kept thinking of every excuse I could think of until I had no excuses. 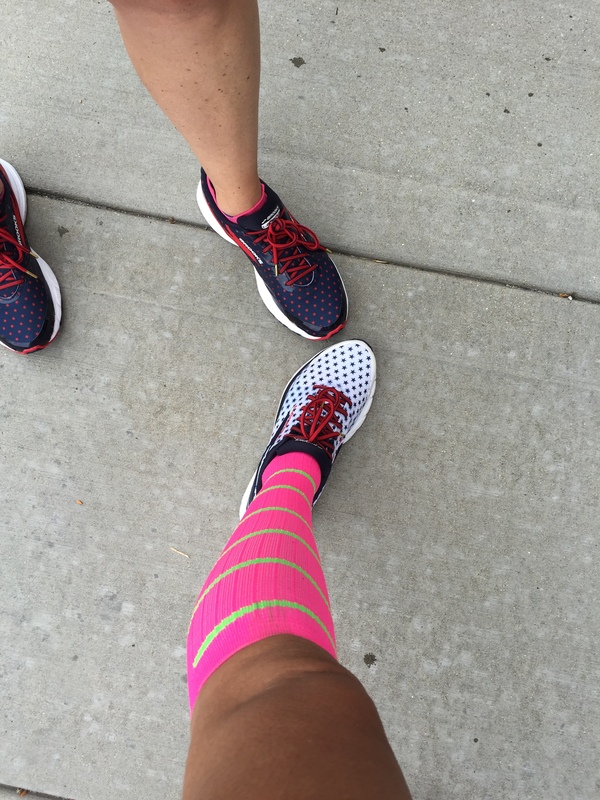 But I put on a new Oiselle top, colorful Pro Compression socks, and wore new Brooks shoes and got it done. I had to buy a new pair (size 10) of shoes because the other pair I had were a little tight and were hurting my big toe on my right foot. W/up and c/d @11:07. I alternated a different song with paces of 10:21, 10:10, and 10:00. 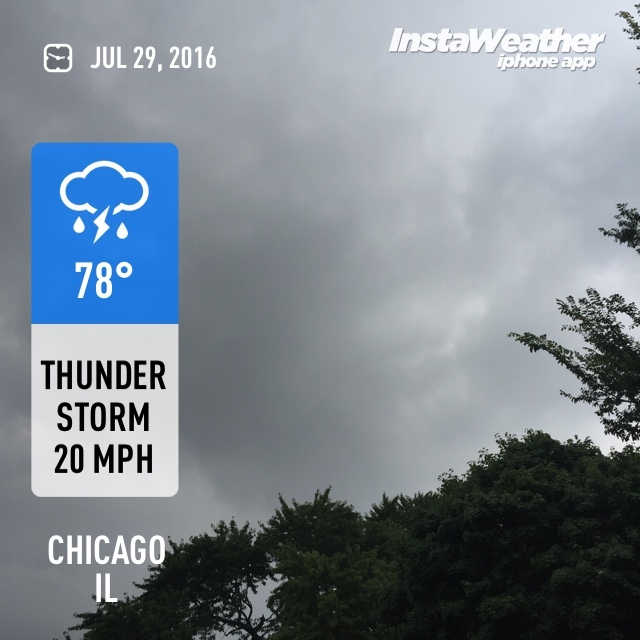 Rain and thunder outside? No thanks. Ran on the treadmill. Alternated a different song with paces of 12:00, 11:32, and 11:07. Oh and a tall iced coffee from Starbucks helped too! Wow, this run was so much better than last week. It was in the 70s when I left my house in the morning. It did rain for a little bit (which felt great) and luckily I had my phone in a plastic bag but I was worried about my watch. I remember last year it rained so much during one of my runs that the built-in heart rate monitor stopped working. Another pacer had the same shoes but I like the navy blue color more than the white. 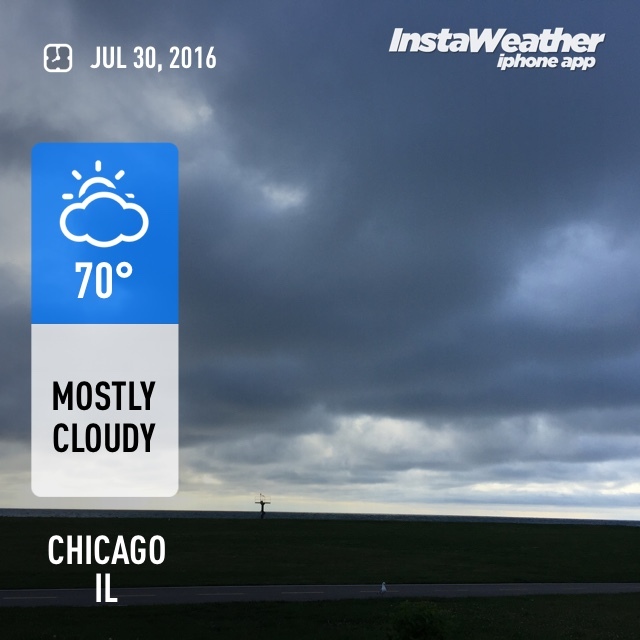 Another morning to sleep in and I missed my run with Chi City Running Club. Some were out there at 5:30am. Me? I think I was in my second dream or so. I did order 3 new pairs of shoes for school. Usually I buy shoes in black because well black goes with everything. But now I have a pair in taupe and wine and now I love the ones on top. I mean how pretty is that floral printed pattern? I did make it to the gym and ran 9 miles. I was shooting for 10. Really. However, then I realized I only needed 8.61 to get to the Black Level on the Nike+ running app. Then I convinced myself to just do the 10. Then I remembered that I did 11 yesterday when I only had to do 10. So by doing 9 today sort of balanced it out, right? The treadmill stopped at 99 minutes which was 8.55 miles so I started again and ran an additional .45 of a mile. Done. 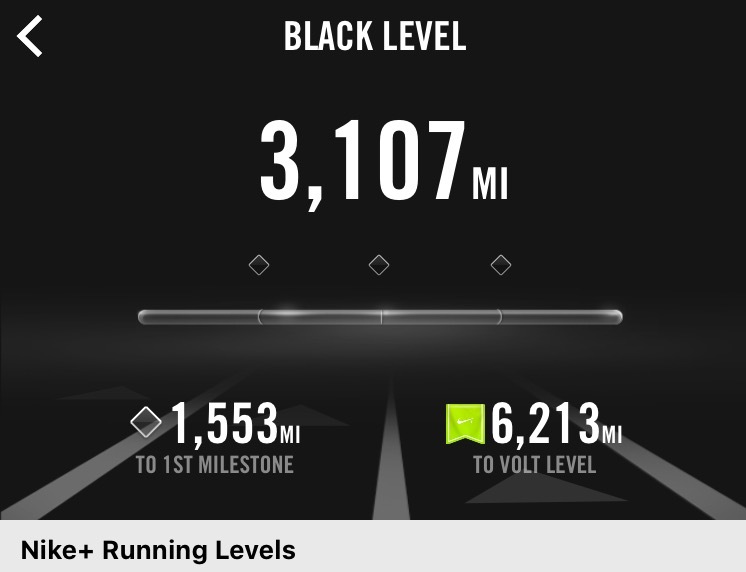 Finally at Black Level which means that I need over 6,000 miles to get to Volt Level and it will probably take me a few years to get there. Week 8 went well. My tempo run went well (again) and I’m glad I did not miss a workout. In week 9 I have 6×800 (which I am excited about) and 8 miles tempo run on Thursday. 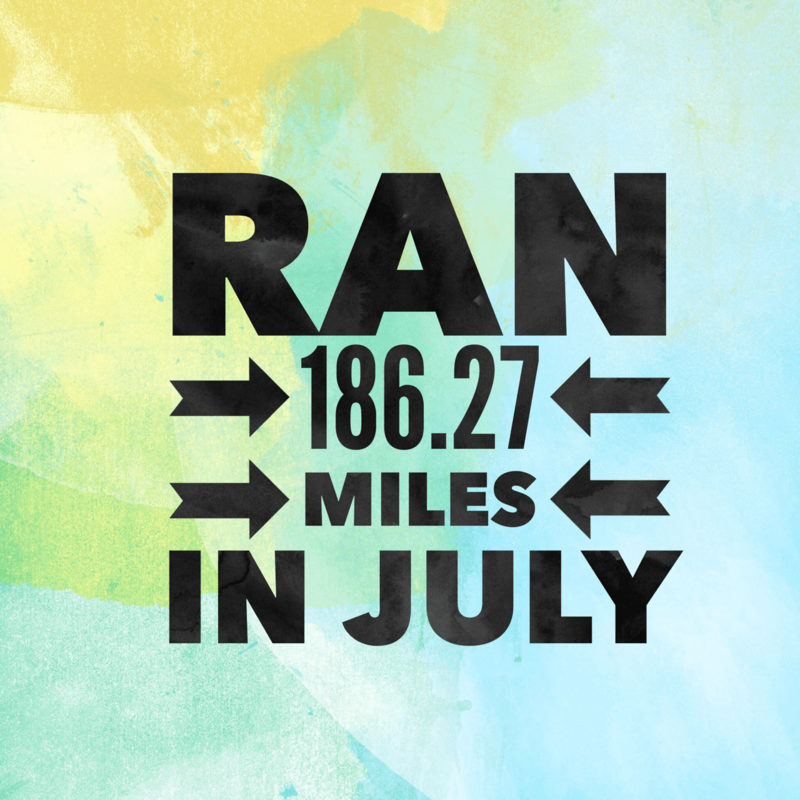 Also, this month I ran my highest mileage – 186.27 miles. Thanks Sharon! I bought mine at the Brooks Running site. They also have other colors which are on sale for $79.95. I saw a spoiler on Instagram, but this is seriously impressive. You are really putting in the miles and working hard. Great week and month! Thanks Elizabeth! I was impressed too. I’ve never run that much. Let’s see how I do in August. Wow — that is a lot of miles! You had a great week of training and looks like you hit all of your targeted paces too. I ordered my last pair of running shoes a 1/2 size bigger because of a toe issue. That marathon will be here before we know it! Thanks for linking, Zenaida. Thank you! Only once before I’ve had to size up in a pair of shoes. No big deal, right? Congrats on a great week of training! I got my TSA Pre approval a few weeks ago and I was amazed at how on time and quickly my “interview” went. It will be so worth it now that I’m flying to Chicago several times a year to see my son and DIL. Thanks Debbie! Hopefully we can meet up next time you’re in Chicago. 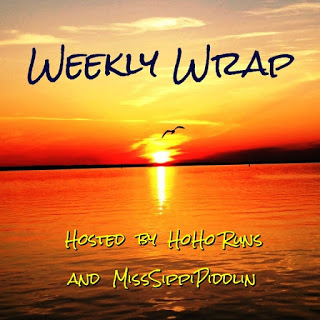 Awesome miles for the month and great job getting all your workouts in! 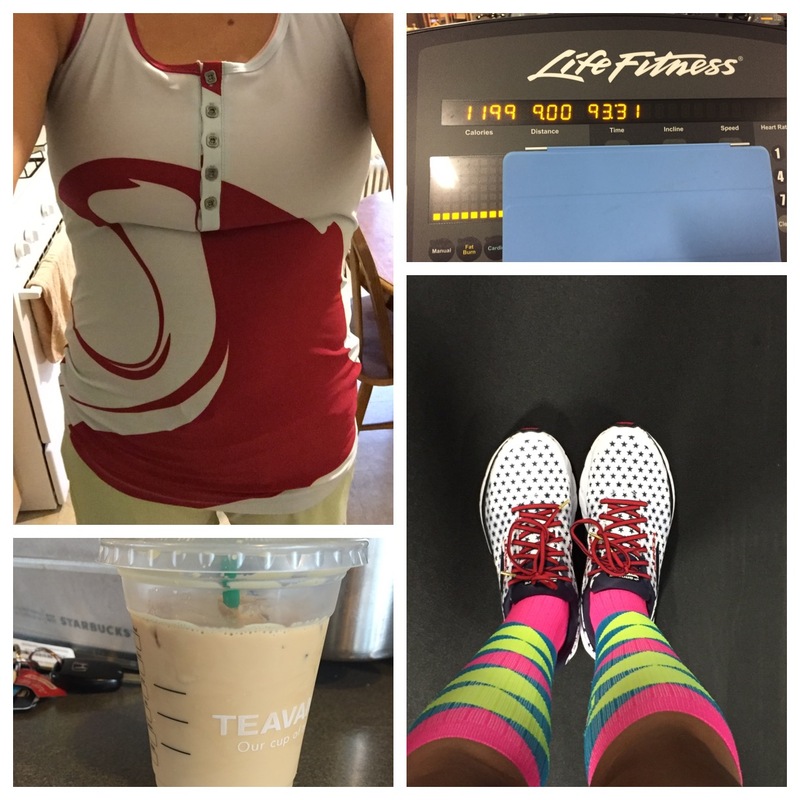 Sounds like marathon training is going well! Thanks! It is moments like this when I get excited about the training and the marathon. That’s a lot of miles in July! Good job! 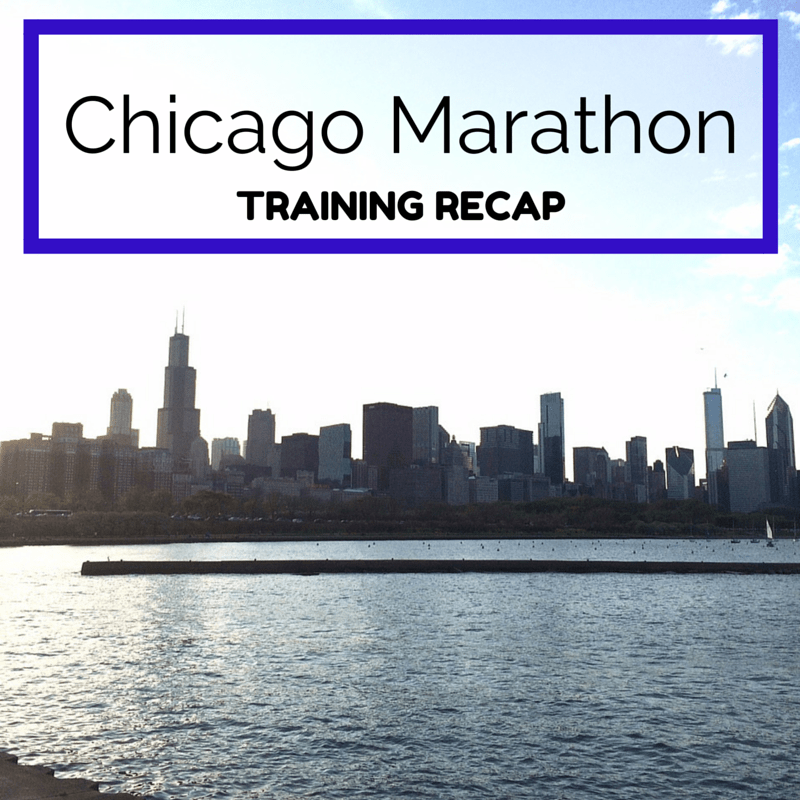 It sounds like Marathon training is working out well for you! When does school start for yall? You excited to be back or need more time to be off? I bet you will. We get a fall break here do yall have one as well? No we don’t. Only winter and spring break.